Specializing in hair color and straight edge razor cutting, Liberty's aesthetic is natural, lived in and beautiful.Liberty has explored all coloring techniques and found her passion in balayage. With free style hair painting Liberty creates sun kissed looks that are seamless and low maintenance. It's your hair, only better. Using a straight edge razor Liberty crafts haircuts to evoke softness, movement and texture.Pairing artistic color with sculptural cutting techniques, Liberty's clients enjoy stunning results. Liberty's experience spans over 15 years and she annually travels to NYC to attend Bumble and Bumble University and Arrojo Acadamy. Jessica Eiring perfected the art of the multidimensional blonde in sunny south Florida, where she was born, raised and apprenticed with TONI&GUY. But her style has always been more Portland than palm tree, so she brought her brand of color and cut to the Pacific Northwest. Jessica has showcased her skills in fashion shows and photo shoots, and she was once whisked away to Greece by a client in need. 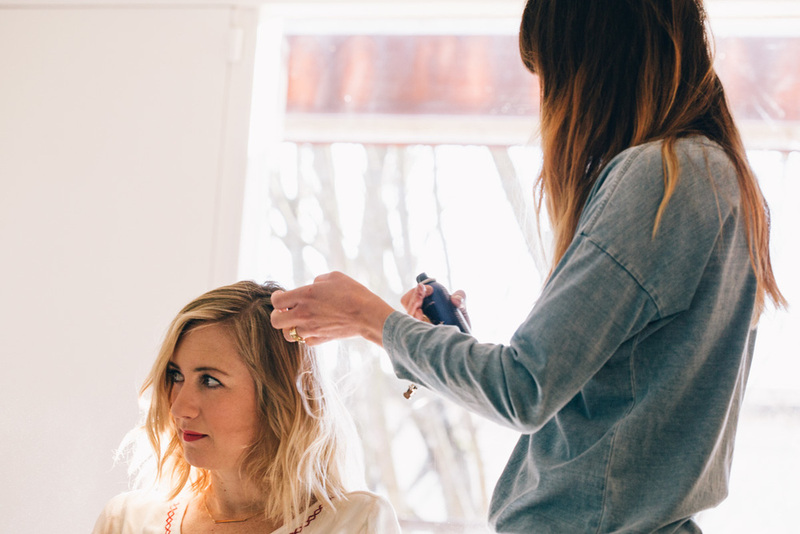 She has been called a hair genie, and your wish is her command. 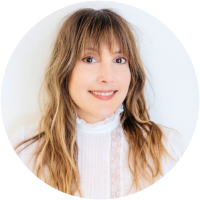 Melissa began her career over eighteen years ago in Portland with Toni & Guy hairdressing, where she apprenticed and developed a strong foundation, specializing in the art of haircutting. Later Melissa moved to Arizona where she continued to advance her education with Toni & Guy, becoming an educator for the company. This meant traveling to the most elite salons, and teaching other hair stylists all the latest trends by giving advanced haircut demonstrations. 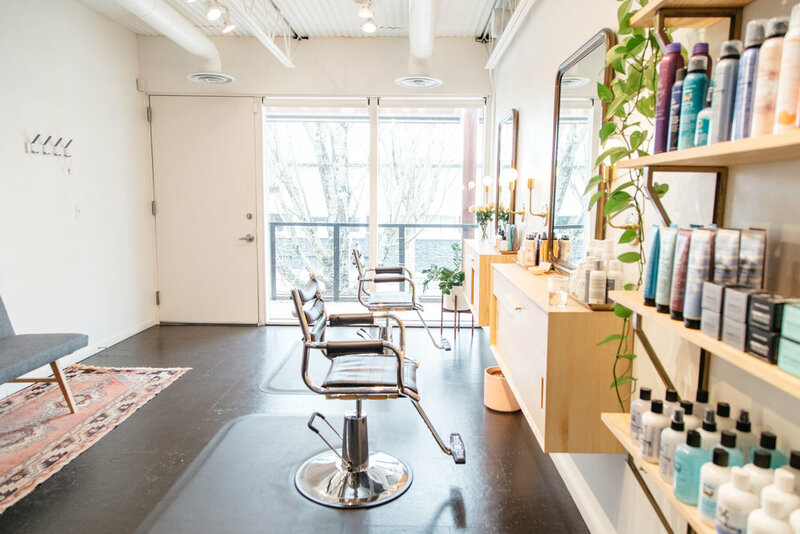 Now back in her hometown, Portland, Melissa enjoys sculpting short hair, perfecting mid-lengths as well as adding creative layering and life to long hair. She will always listen to you and do her best to accomplish your style with enthusiasm. Also trained in color, though not accepting new color clients at this time. Feel free to consult about this during your next haircut! Artfully done haircut, includes wash & conditioning. Not your boring barber cut, includes wash & conditioning. Available upon request and discretion of the stylist. Perfect for those seeking grey coverage or color enhancement. A root adjustment plus additional glaze to revive your ends with pigment and shine. An all over application specifically designed to adjust natural hair color. Perfect for those seeking grey coverage or color enhancement. Draw attention to specific areas using painting or foiling technique. Using foiling technique throughout the entirety of the hair to create a variance in color. Color directly hand painted on specific areas to create a natural variance in color. For those important moments in your life when you need your hair to look its best. Founded by two experienced hairdresser’s in Stockholm, they called on their wealth of experience in hair styling to create a range of products that was unique in the market due to it’s simplicity and function that also lead in terms of it’s quality and innovation.The products have a healing effect on the hair due to a combination of algae’s and other unique ocean found ingredients. A unisex brand, all products can be used for any hair type and style. We respect your privacy and will never spam you or sell your personal information.